Now that school is back in full swing around here, more often than not, I need to get a quick dinner on the table. We eat a lot of pasta dishes around here and they can get a little boring. 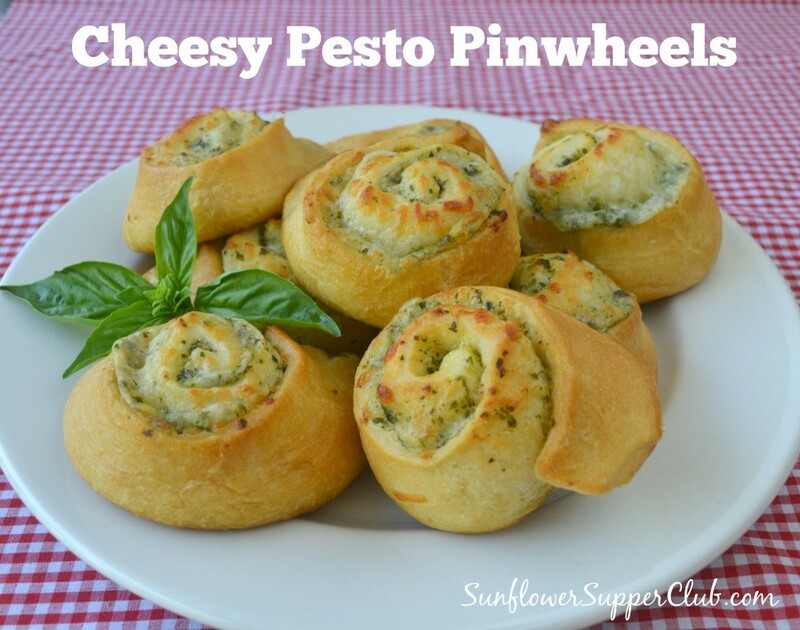 These Cheesy Pesto Pinwheels are super quick and easy to make. They will also add little fun to the meal. The Pinwheels go with just about any dinner. I’ve served them with pasta, steak and potatoes, soups, there are so many options. I have to keep an eye on them when they are cooling because the kids will swipe them if I’m not looking, then claim they thought they were an after school snack. Unroll the crescent dough with the long side toward you. Evenly spread the basil pesto on the dough. 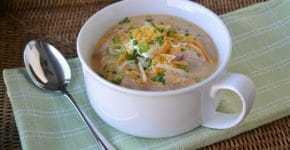 Sprinkle with parmesan cheese and then top with the Italian blend cheese. Starting at one end, roll up jelly roll style. Cut into 8 equal pieces and place on the baking sheet. Bake for 10 minutes. Remove from the oven and brush on the garlic butter. Return to the oven and continue baking for 3-4 more minutes until golden brown. Remove from the baking sheet and let cool on a wire rack.